08 THE LAST DAYS OF JESUS - Any Changes, My Friend? Info: The so far latest edition of this compilation series, features again BIG and NEW names of the Electro and Gothic scene. 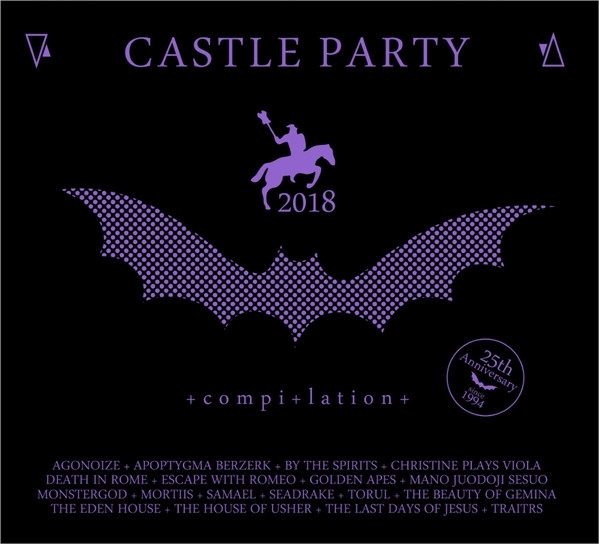 18 Bands that played at this years CASTLE PARTY  theee biggest and longest living Electro/Wave Festival of Poland. Incl. Traitrs, Apoptygma Berzerk, Agonoize, Seadrake, Monstergod, Torul, Death in Rome, The Eden House, The Beauty of Gemina and many many more! Incl. an exclusive Apoptygma Berzerk edit for Mortiis!